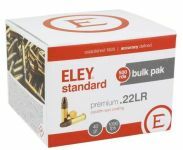 For more than 150 years, the ELEY brand has been synonymous with quality, consistency and medal winning accuracy. ELEY’s research and development team consistently strives to set new standards in engineering innovation. We break boundaries by continuously improving our ammunition always aiming to lead the way in .22LR performance. 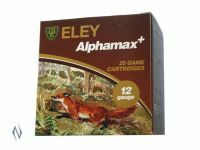 Our forward looking approach has led to new products such as ELEY edge. An all-black cartridge which features a scientifically developed surface treatment, increasing the friction between the case and bullet to give a more consistent propellant burn and most importantly increases accuracy.